A real bittersweet read about time travelling best friends). Well that's the simple version. Molly and Beth love each other, but a momentous decision by their families causes unexpected conflict, which was hard to read but made it feel true to life. They care about each other, even if Molly doesn't understand what it's like not to have a mother. The way they end up time travelling is ordinary yet strange, and creeped me out a little. There was a sense of danger an insecurity as they journeyed to find Beth's mother- I worried what if they got caught for the not entirely legal things they had to do due to lack of resources.I promise it ends happily. I was an 80s baby so it was strangely comforting to hear about the magazine Bunty and other true to the times items, as I remember what they are like. I didn't have Beth and Molly's issue of not knowing what a 50 pence piece was-we don't have the Euro in England. I got teary in several places, and was left feeling happy yet sad at how it ended. Losing someone important in your life never gets easier, but at least Beth has some precious memories of their time travel. One to reread! Find out more on Judi's website. And keep reading for a fun insight into Time After Time from Judi! Here's quick recap about the story from the publisher: Time after Time is the first book in a new series by Judi Curtin. It tells the story of best friends Molly and Beth, who find themselves transported back through time into the 1980s, where the hair is weird, technology is basic and fashion is pretty appalling! Back in the 80s, with no idea how to get home, Beth decided she wants to try and find her mother who was a teenager in the 80s but died when Beth was little. 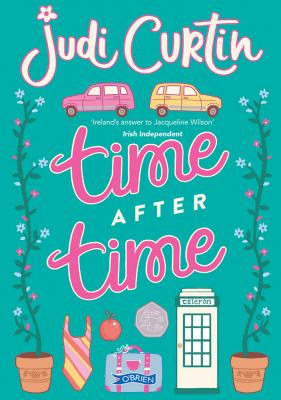 Time after Time is the first book in a new series by Judi Curtin. It tells the story of best friends Molly and Beth, who find themselves transported back through time into the 1980s, where the hair is weird, technology is basic and fashion is pretty appalling! Back in the 80s, with no idea how to get home, Beth decided she wants to try and find her mother who was a teenager in the 80s but died when Beth was little. 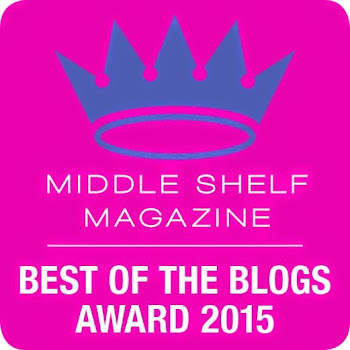 Judi Curtin gives us an insight into how and why she decided to take on the time travel genre! If time travel were possible, I think I'd be too afraid to go forward in time - I don't want to know about the future. Like Molly and Beth, if I were to go back in time, I'd prefer to have a personal connection with the people I encounter. I'd love to meet my parents and grandparents as young people. I'd love to meet my younger self - and give her a good talking to - mostly about being more carefree, and worrying less about what other people think - and not getting that short haircut in 1983! My children are all grown up now, but I'd love to travel back and spend a few hours with them as babies and toddlers. I’m looking forward to continuing the series and am investigating a few ideas at the moment. One involves a brief trip into the future and the other one takes Molly and Beth back to the 1950's - I'll have to raid my parents photo albums for this one! While rummaging around for a costume for my book launch, I found a very cool 1970’s dress in the attic - maybe I should set a book back then too!